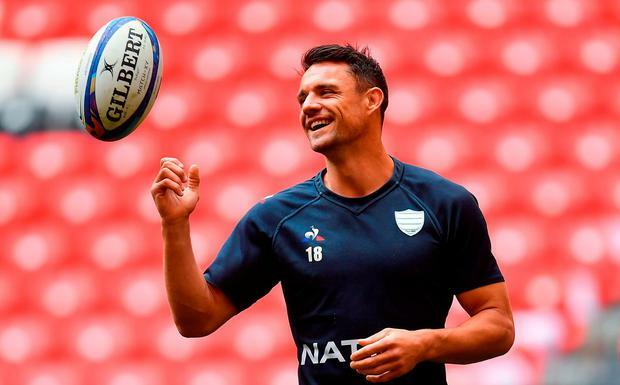 The great Dan Carter will not get the chance to play for the one piece of silverware that has eluded him in his glittering career. Carter misses the Champions Cup decider against Leinster in the San Memes stadium in Bilbao due to injury and is replaced on the substitutes bench by French international Remi Tales. It is the latest injury setback for Ciel Et Blanc after talismanic scrumhalf Maxime Machenaud suffered a knee ligament injury last month. Tales is an experienced operator and has 24 French cap to his name but the loss of Carter will be substantial. "It's a massive blow to the team. He had a niggle on the hamstring and he injured it again yesterday," Chris Masoe, Racing 92's Racing’s skills and defence coach, said. Andrew Baldock Alex Goode says that Saracens' last Heineken Champions Cup defeat a year ago helped "fuel the fire" for another concerted European title challenge. Independent.ie Newsdesk Saracens star Billy Vunipola said that it was 'quite scary' when he was confronted by a Munster fan after the final whistle of the Champions Cup semi-final at the Ricoh Arena in Coventry.